Happy Monday beautiful people! Hope you had a great weekend. Happy Independence Day to all my Americans. What are your plans? I will be spending mine with family and friends and out to see fireworks. You can always follow my activities on Snapchat (@Jadore-Fashion). Today's look is an inspirational outfit for July Fourth celebration. 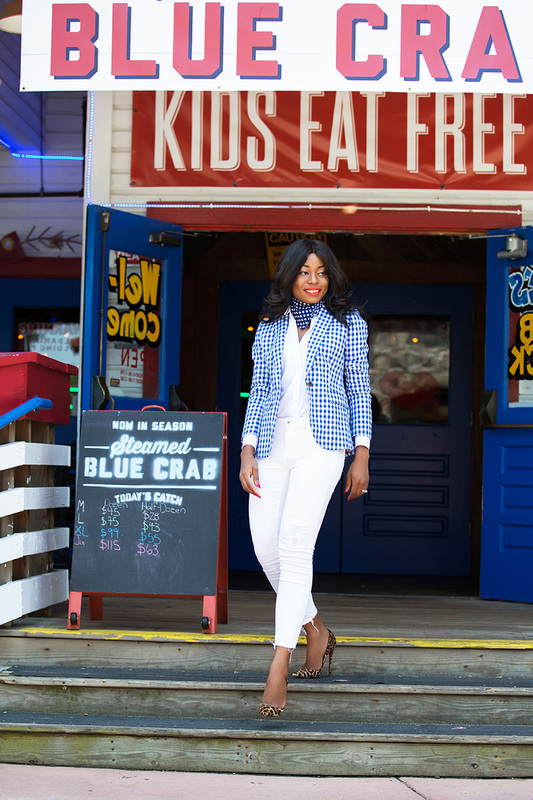 Wearing one of my favorite gingham blazers (as seen here) with white skinny jeans and a pop of red for a red, white and blue theme. This outfit can be worn beyond today's celebration. This will make a great casual work style for summer. 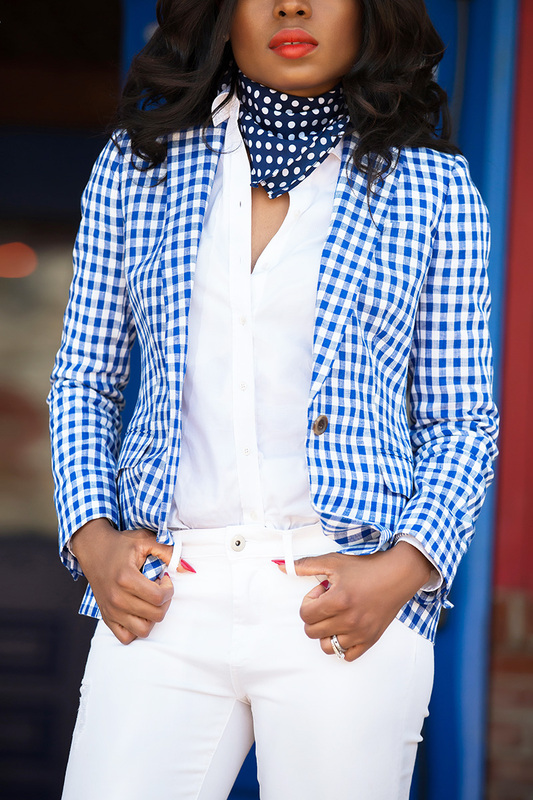 I always have a blazer on hand for work because it can be cold indoors. P.S. Asos is having a 15% off everything including sale items today only with code USYAY. 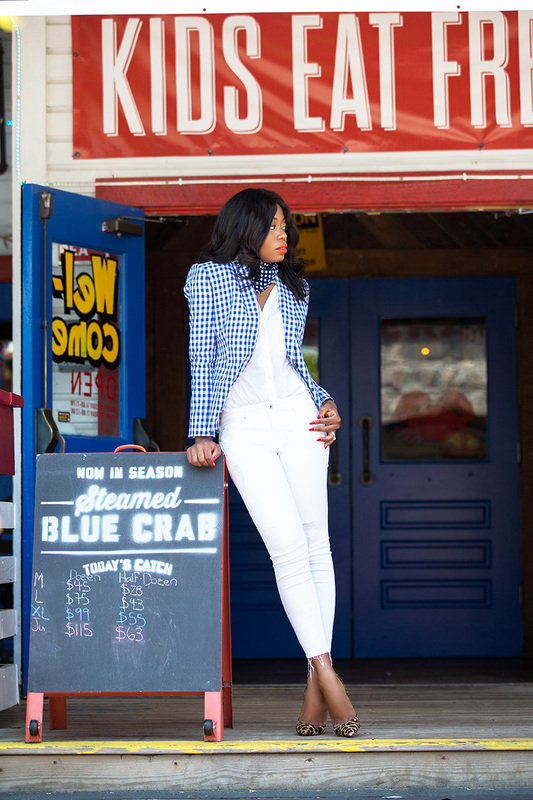 Ooh I just love how the check blazer pops this all white look. Love your mix of prints with the polkadots, leopard print and check, very genius of you.